News and commentary about road pricing across the globe. Tolls, congestion charging, distance based charging, road user charging. Public policy, economics, technology and more. If Google brought you here, look down the right sidebar for references. Following on from the speeches made by Scott Charlton and others than I reported previously, Australian blogger Alan Davies, on Crikey, said that Australians should talk about road pricing. 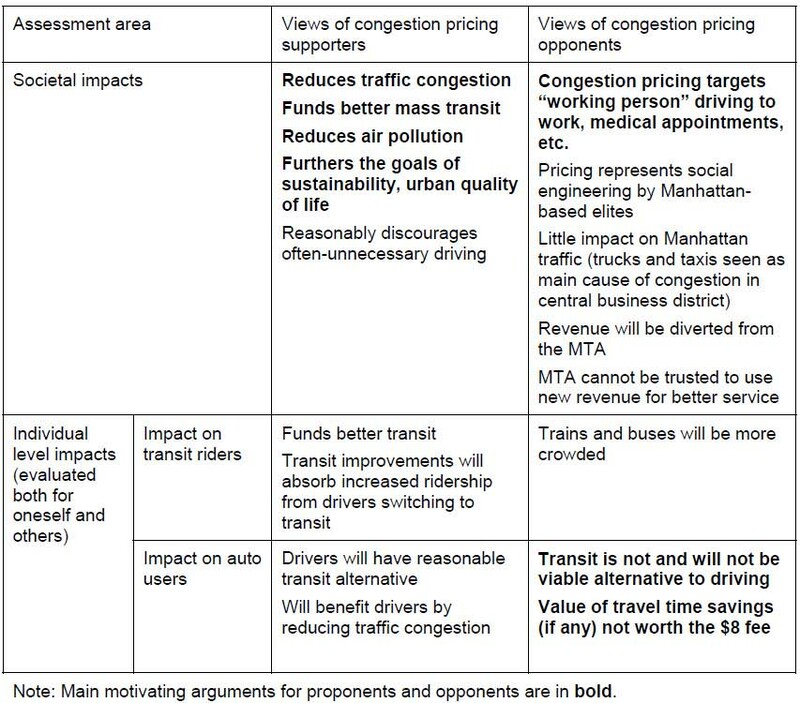 He gets the economics largely right, that peak congestion pricing would mean mode shift, time shift and consolidation of trips, although he advocates it as a source of new government revenue, which would be controversial. The main criticism of road pricing is the claim it’s inequitable. Yes, higher income travellers will be better placed to deal with road pricing, just as they are with all other motoring-related costs. However that issue has to be balanced against the economic and environmental damage done by excessive car use. There’s also an incorrect and somewhat patronising assumption that lower income travellers don’t make high-value or important trips. We need to bear in mind that everyone regardless of income currently pays for necessities like food and rent according to the amount they consume. Everyone pays for essential services like water and power irrespective of their income. Everyone who uses public transport pays and the revenue is used to make public transport better. Indeed, governments (in the developed world) don't deliberately discount the cost of buying cars (unless they are electric), fueling cars or maintaining them to help the poor. The policy response to people on low incomes not being able to afford the market price for goods and services is rarely to subsidise the prices of such goods and services (as the transaction costs are high and the distributional impacts are likely to skew towards those who can afford to pay), but rather to support incomes more generally (with the exception of housing) to allow them to make intelligent trade-offs between goods and services they purchase. He does suggest discounts to offset the impacts (an idea which is hard to police or effectively target), but there are better ways of doing it, especially if pricing can be more disaggregated by time and location, so that prices are precisely targeted. Opposition to congestion pricing because it hurts the poor cannot be simply dismissed, but it shouldn't be allowed to dismiss the concept out of hand. Work needs to be done to understand the real distributional impacts of such pricing, particularly if the use of revenue is taken into account and pricing is concentrated on peaks. 10 years of London's congestion charge - a success or disappointment? Big (tolled) dig for London? Higher road tax for UK motorways? Netherland - SpitsScoren "profit from the peak"
Scott Wilson administers this blog and is a Principal Consultant for D'Artagnan Consulting. Road pricing is any system that directly charges motorists for the use of a road or network of roads. Traditionally it has meant tolls on single routes, particularly crossings such as bridges or tunnels. More recently it also includes area, cordon and zone pricing of urban areas, and distance and time based charging of whole networks. It does not include fuel or tyre taxes, or taxes on ownership or purchase of road vehicles. All content on this blog is copyright held by Scott Wilson unless otherwise stated. Powered by Blogger.